Skilled farmers, artisans and warriors, the Dacians, ancient ancestors of the Romanians, lived in the territory of nowadays Romania, mainly in Transylvania. Their complex mythology transformed them into a famous civilization, mentioned by Herodotus and other famous historians of the time. Contemporaries with the ancient Greeks and Romans, the Dacians, ancestors of today's Romanians, were a civilization that excelled in agriculture and crafts. 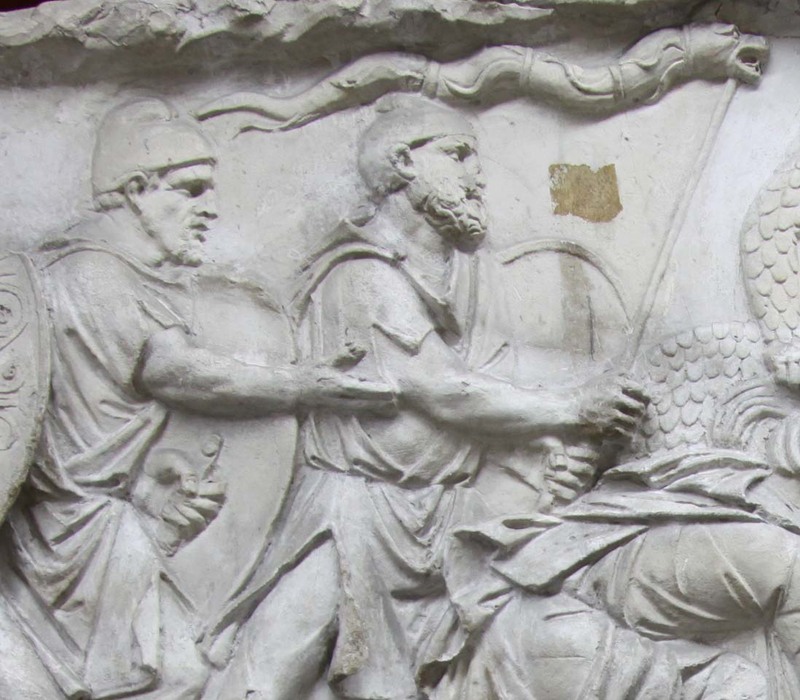 The Dacian’s belief in immortality has generated a complex mythology, comparable to the ancient Greek and Roman mythology, which has led, among other things, to be followers and great masters of natural medicine. Also, the werewolf myth started in the heart of Dacia, the Legend of the Great White Wolf being the first recorded mention of this fantastic character. The Dacians cult of the wolf (their totemic animal) was kept throughout their existence, placing a profound mark on their lifestyle and especially on their military strategy which made them the most powerful and respected adversary of the great Roman Empire; their resilience and bravery is immortalized on the famous Trajan’s Column in Rome. The Dacians, ancestors of today's Romanians were a civilization which lived in present-day Romania, in Eastern Europe, mainly in nowadays Transylvania. The Dacians broke away from the bulk of Indo-European tribes (the precursors of most European nations), and experienced demographic growth, economic development and an expansion of the network of settlements between the centuries 3-1 centuries BC. Apart from transhumance, the Dacians were known for beekeeping and for their knowledge in the usage of medicinal plants. The tradition of producing honey and collecting medicinal plants was maintained until today in the traditional Transylvanian village and ancient works from the 1’st and 2’nd century BC certify that the Dacian practitioners of natural medicine had principles similar to those of the school of Hippocrates, father of medicine. For the Dacian people, the incantations combined with the medicinal plants’ effect had a major role in treating any kind of disease. The Dacian mythology, Romanian folklore’s predecessor, was strongly influenced by these beliefs, leaving behind many legendary characters as well as some superstitions and legends which still last up to this day. Being artisans, the Dacians processed clay to create pottery objects, thus continuing the Cucuteni Civilization’s tradition, (5500 - 3500 BC, the oldest confirmed European civilization), whom were already using the potter's wheel. In turn, the Dacian used the potter's wheel as well, since the fifth century BC., managing to give birth to an impressive number of quality ceramic objects. The continuity of this tradition has been preserved nowadays, the Transylvania World territory comprising many important pottery centers. The Dacian craftsmen were using complex and diverse techniques to create attractive jewelry, even mastering the gold plating technique. The Dacian gold’s purity had been recognized since ancient times, reason for which it didn’t need special purification techniques. Also, the Dacians were very skilled in processing bronze, brass and silver, proof of this being a number of artifacts found by archaeologists, which show the artistic craftsmanship and the functionality of their products. One of the main reasons for Roman Empire’s invasion of Dacia was the Dacian gold reserves. Sources indicate that the Dacian’s gold reserves revolved around the figure of 165 tones, in addition to 300 tons of silver. For an updated comparison, the Dacian gold reserve would have been among the top 25 gold reserve for the world’s nations in 2015, above countries such as Sweden, Brazil or Singapore. The Dacian’s fortresses were called “dave” and their arrangement gives us clear indications of their defense system, embodied in the Carpathian mountain range. The discovery of stone walls, terraces and platforms that follow the contours of the almost inaccessible rocky peaks proves an old Dacian tradition in choosing their fortresses. The communion with nature was a real way of life for the Dacians and the best preserved Dacian remains can be found at Sarmizegetusa Regia, a sanctuary like construction, similar to the famous Stonehenge, located in the middle of nature. The Dacians were a military force to be reckoned with, their tactical processes ranging from battles in acute angles in order to pierce the enemy lines, to guerrilla defensive maneuvers. In addition, in the middle of the battle, the Dacians behaved with aggressiveness comparable to that of wolves, even their battle flag (called Draco) being a dragon-headed wolf. Thus, after two wars the Dacian people were conquered with great difficulty and many losses by the Roman Empire and as a result of the merging between the two nations, the Romanian people were born.